Thanks Victor message me this morning telling the good news! 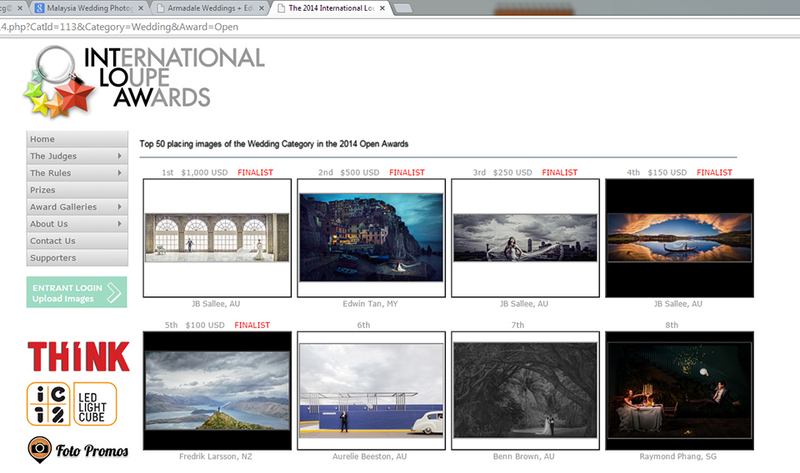 Both my images make it to the top 50 placing images of the Wedding Category in Year 2014 Open Awards and one of them make it to 2nd Place as well ! Thanks to all my team and clients support ! Love you all !